If you wish to get a broader overview of the Hungarian Jewish culture and its history, and would like to see the city from a different perspective, our Private Grand Tour is just the thing for you. Let us guide you through all the landmarks in connection with the Jewish eritage of the Jewish Quarter of Pest, while telling you all the facts and stories about its past and present. 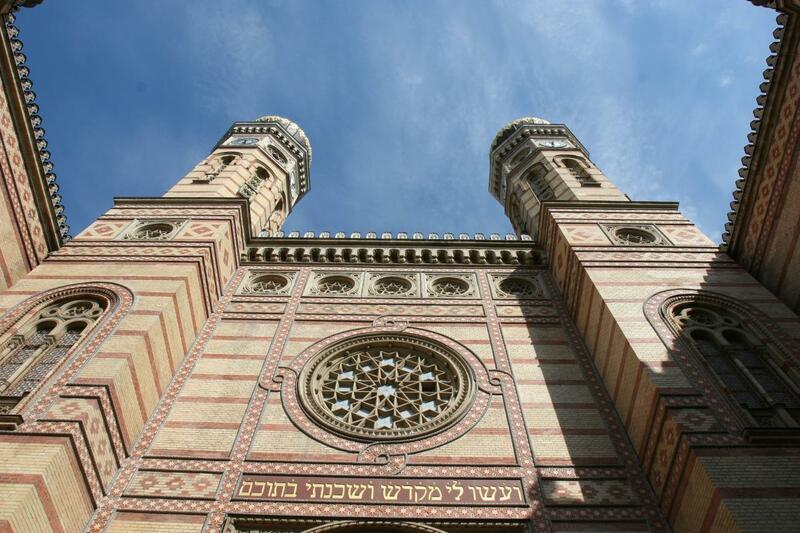 Following the pick-up form your hotel, you will head straight into the magnificent Dohány Street Synagogue, the centre of the Hungarian Jewish community. From here, you will continue the exploration in the Jewish Museum through its unique collection of artefacts from the Hungarian and Eastern-European Jewish history. After touring around iconic locations such as the Martyrs’ Cemetery, the Raoul Wallenberg Memorial Park with the Tree of Life, you will head out to explore the greater Jewish District of Budapest. The history of the Hungarian Jewry will unfold before you while strolling down the notable streets of the former ghetto. Explore sights such as the Rumbach Synagogue, the Orczy House, the Orthodox Jewish Quarter and the stunning interior of the Kazniczy Street Synagogue! Your guide will share all the most important facts and stories with you during this 4 hour in-depth look into the most spectacularly transforming area of Budapest. At the end of the tour let us treat you to a delicious Jewish pastry in one of the quarters’ popular pastry shops! Join the tour and learn about the Hungarian Jewish culture the most memorable way possible: through its living, breathing tactile history! event for a later time if are able to, but without the transfer service.